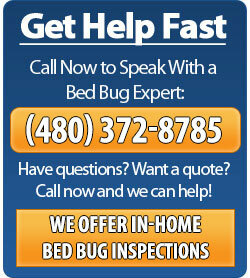 As bed bugs are tiny creatures, they might be infesting your bed and mattress without you realizing it. However, as these insects feed on the blood of animals one needs to pay attention to bites or itchy marks that might develop on their skin as evidence of being bitten. The bite marks from bed bugs are not harmful, but one can develop rashes due to itching and irritation that they feel on their skin due to such bites. These bugs usually come out at night and feed on human blood. There are some precautionary measures you can take. If you are unable to check and ensure that bed bugs are present in your bed, mattress or surrounding areas, you need to protect your skin, hair and even wear socks while sleeping at night. This is obviously a short-term solution to avoid getting bites, but you should also contact a bed bug exterminator to get the infested area inspected and addressed by a professional. 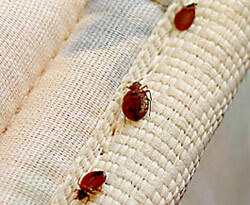 Our professional bed bug exterminators can help you address the problem early. 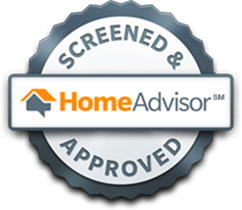 By providing a free inspection, we will be able to see how many rooms these bed bugs have spread to and recommend a treatment based on your infestation level. 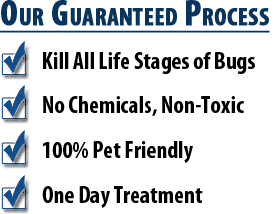 The methods used depend on the kind of infestation found, but the two we offer is a heat treatment and chemical/pesticide treatment. Hygienic measures also need to be adopted in order to prevent the occurrence of bed bugs. It is also recommended that bed linen is cleaned with hot water and dried on high heat after. 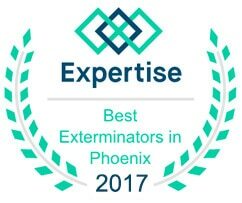 If you are facing bites and rashes from bed bugs, do not delay to contact an exterminator. Call us at 480-372-8785 for a free estimate and inspection.